Today I met Leia for lunch at gunpowder, Hauz Khas Village. Yes, Delhi has this beautiful lakeside view also. It is a south Indian restaurant. And I do highly recommend it. You get this view from the restaurant. And they serve delicious food. It is very reasonably priced too. We had finger licking Appam with tamarind and jaggery pumpkin and some other vegetable which was made from cabbage. I am already craving to have it again. Chatting with Leia was/ always is invigorating. She showed me how to take such picture with my iPhone in panaroma view. I like people who use iPhone. Whenever I see someone with iPhone vs blackberry, I get biased towards the one using iPhone. I feel they are smarter. Blackberry, anyways is popular only in Delhi and no where else in the world and is soon going bankrupt. 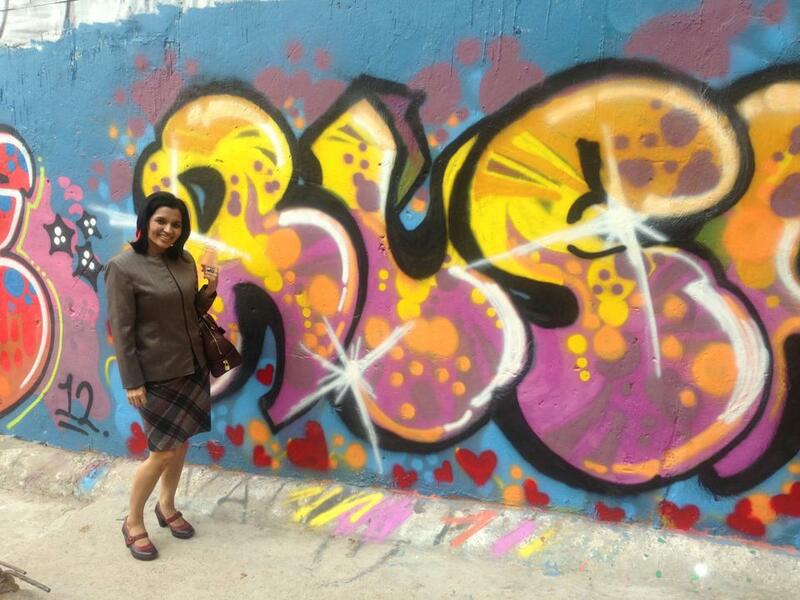 Does this graffiti look like it is Delhi's village?